Hi and welcome back to our Sodus Vacation Rentals Finger Lakes home blog! 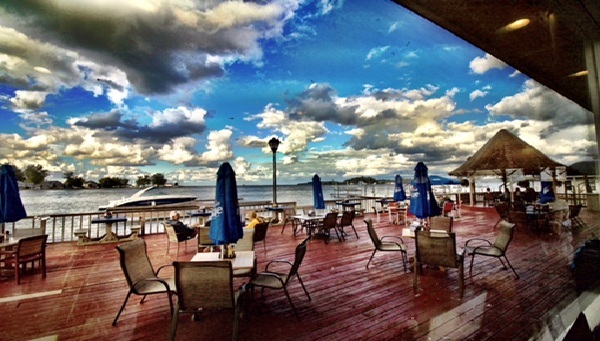 You guessed it – we’re continuing with our never-ending Sodus restaurant series. This week we’re highlighting a relatively new restaurant in the area: Marlin’s. 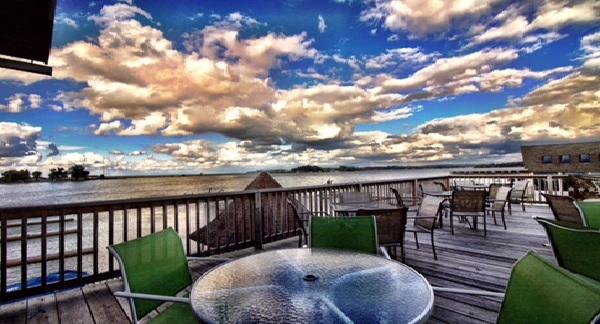 Located at Sodus Point Vacation Rentals very near to Captain Jack’s, Bay Street and the like, Marlin’s Restaurant offers an awesome view of Lake Ontario from seating on their two-level outside deck. It’s the perfect location for a nice lunch or dinner on a summer day. An especially unique and awesome part about Marlin’s: it’s like eating at two restaurants in one. 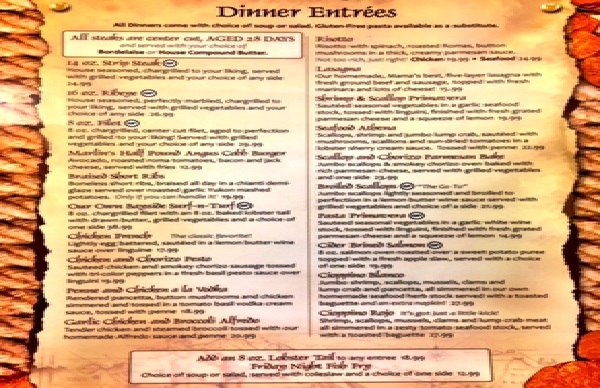 Not only is the quality of their cuisine, great, but Marlin’s offers two menus - so you don’t have to agonize over indecision when choosing a restaurant. Marlin’s has it all. 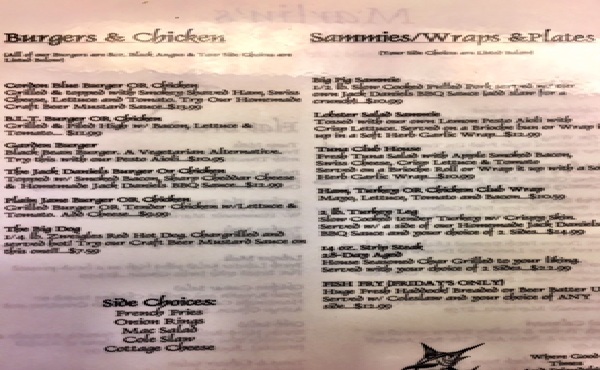 Their outside deck menu has items that typically range from $10-15, like wraps, burgers, salads and other simple staples. Great for a modest lunch or dinner with a perfect view. Inside, meals are a bit fancier and more expensive, with entrées generally ranging from $15-35. Some examples of these include broiled scallops, pasta primavera, surf and turf, and a variety of higher-end chicken, beef and steak options. 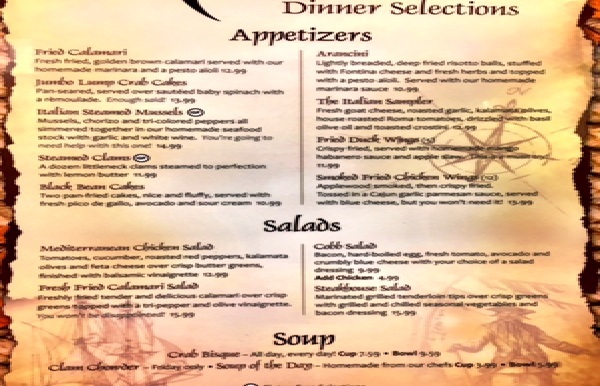 We’ve included the menus below for a more comprehensive look at Marlin’s options. 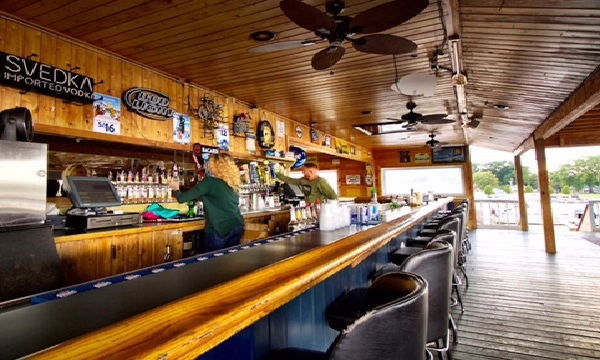 There are bars located both downstairs and upstairs, and visiting Marlin’s on a weekend is sure to be a fun time – so have a drink or two. 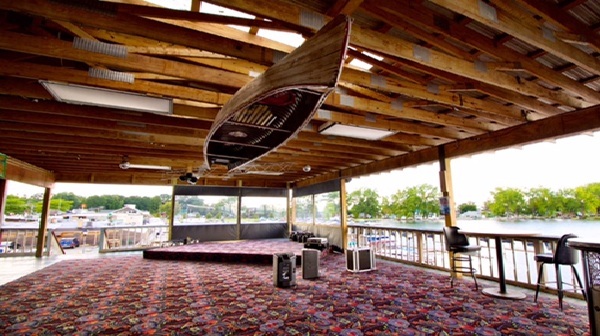 The restaurant often hosts live bands on their second floor outside deck, and this deck is perfect for dancing and drinks with friends. 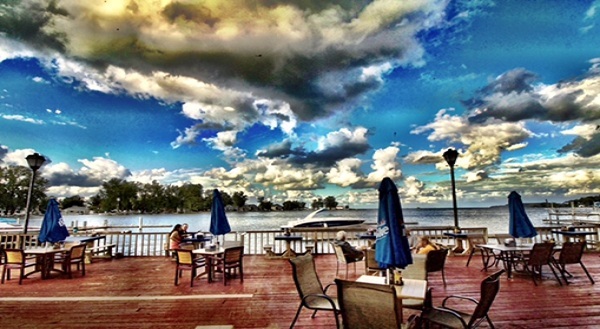 It seems Marlin’s is not only the hot new restaurant in Sodus – but a great place for nightlife as well! 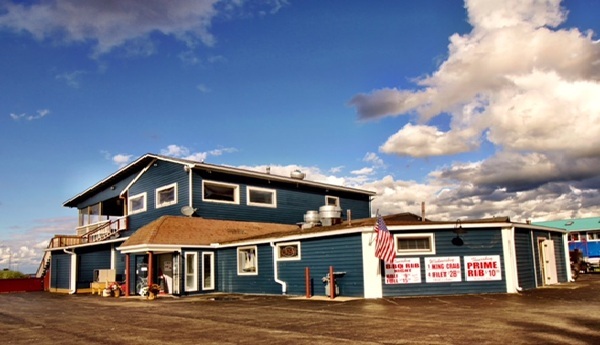 Marlin’s just about has it all, and is definitely worth a meal during your stay in Sodus. 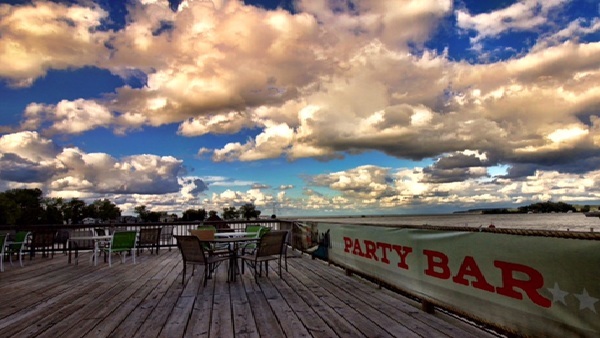 Whether you go for the drinking and dancing, a casual meal or all-out dinner, or just for the amazing view of Lake Ontario from the outside decks – you’re guaranteed a great time and even better food. 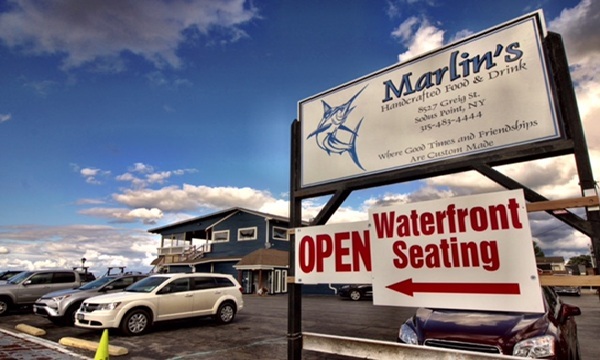 Marlins is located at 8527 Greig Street, Sodus Point NY 14555 Phone for reservations is 315-483-4444. If you’ve been following our posts, you know a little bit about the Fingerlakes area of upstate New York, and some of the fun things to do in Sodus during the winter months. However, you haven’t really heard much detail about the town of Sodus itself, where our business, Ferryland Cottage Rentals, is based. So for this blog post, we’ll dive a little deeper into the history of Sodus, New York – what it’s known for, who lives there, as well as some of the distinguished geographical features and history of the area. 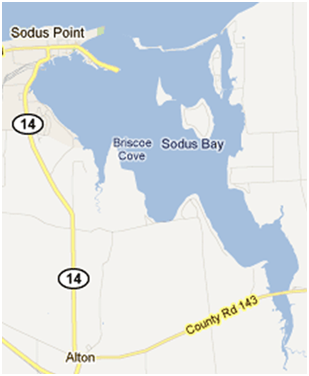 The first thing you should know about Sodus, especially as it relates to our business, is that Sodus Bay is the largest inland bay off of the Great Lake Ontario, which borders Canada. All of our cottages are sprinkled around Sodus Bay. 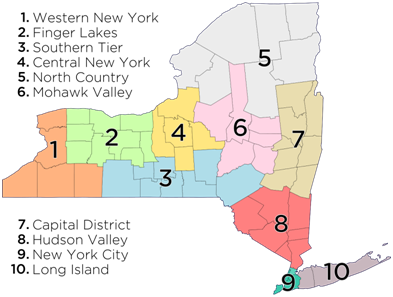 Located about halfway between Rochester and Syracuse, the bay itself is about the size of one of the smaller Fingerlakes. This offers the best of both worlds for our residents and visitors – you’re getting the tucked away, cozy residential feel of a smaller lake, with added Great Lake benefits: a huge expanse of water for boating and fishing, as well as many sandy beaches dotting the shores. The town of Sodus, located in the North Central of the Fingerlakes region of New York State, contains two small villages: aptly named Sodus and Sodus Point.The village of Sodus is big on apple farming, comprised mostly of farm and residential land. There’s a grocery store, hardware store, library, post office, bank and a few other stores within. This rural village truly embodies the “small town”, mostly land-bound vibe. Sodus Point, roughly 5 miles down the road, can be described as more of a resort village. Full of marinas, cottages and several restaurants on the water, this “point” of Sodus that separates the bay from the rest of Lake Ontario is especially popular with the summer folks.The sandy point on the water is great for relaxing at a summer lake cottage or sailing and boating during the warm months. Sodus Point boasts not a single stoplight in their little village! A few of Ferryland’s cottages reside right on the point, providing a perfect resort-like environment surrounded by sandy beaches. The town of Sodus was established back in 1789, its name derived from the Native American word “Assorodus”, meaning silvery water. 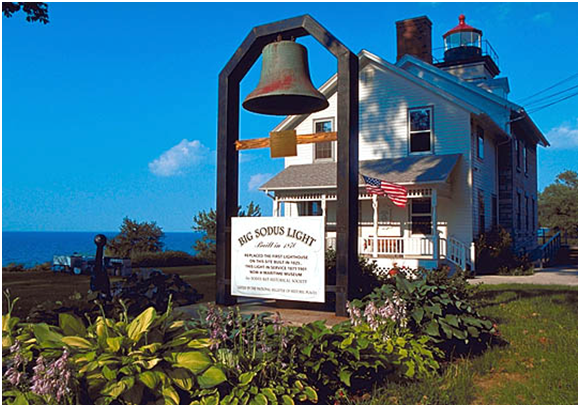 Sodus played a role in the War of 1812, and in 1813, the British attacked and burned the village of Sodus Point to the ground. A lighthouse was erected in 1825 to mark the shoreline, and can still be visited as a notable landmark and museum to this day! A trip to the lighthouse museum is worth it not only for its historical significance, but also for the breathtaking view of Lake Ontario and the shoreline. Sodus’s harbor has long been considered the best harbor on the south shore of Lake Ontario. 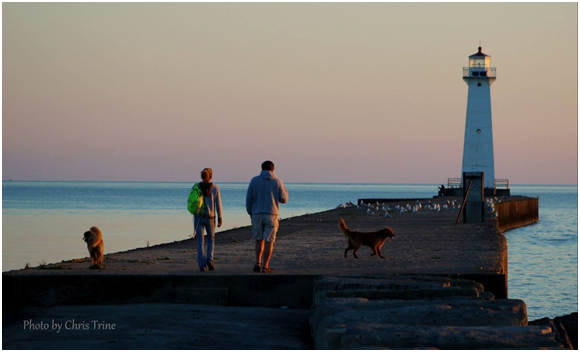 With a population of a little over 8,000 and occupying an area of roughly 70 square miles, it’s no surprise that many describe Sodus as quaint. Much of this acreage is farmland, as Sodus is known for its major industry: apple farming, as well as other fruit farming. We boast the county with the largest apple production in New York State. If you’re planning a visit to Sodus, fall is a great time; our groceries and farmers markets will be filled with a variety of delicious apples and apple-flavored baked goods! We are also well known for fresh farming of other fruits and veggies – our berries are a MUST in the summer months! The quaint town of Sodus is a great place for both permanent residents and visitors. A rich history, fresh apple and produce farming, and a relaxing resort village on the water for cottage goers all contribute to the town’s undeniable charm and appeal. Ferry land Cottage Rentals is proud to rent our cottages in such a beautiful,fun and unique location!